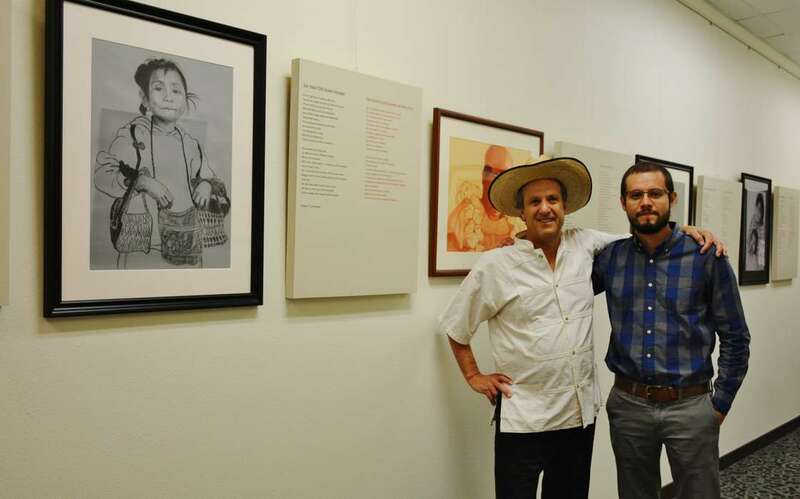 Steven and Reefka have created the Borderlines traveling exhibit that consists of twenty-five framed 24 x 30 inch portraits of people who live and work along the U.S. / Mexico border and twenty-five poems in English and Spanish featured on 24 x 30 inch text panels. 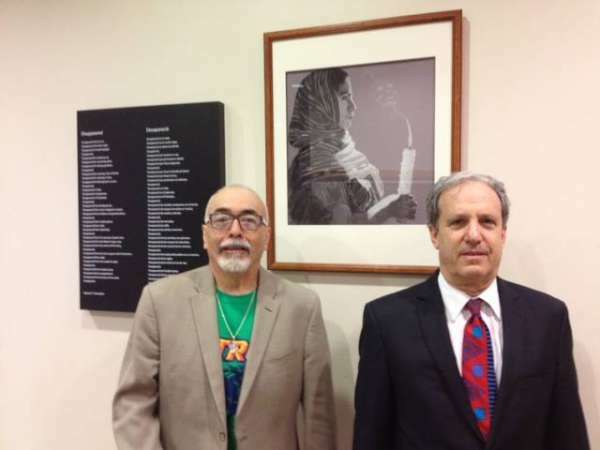 The entire exhibit is available to museums, galleries, libraries, colleges and universities. 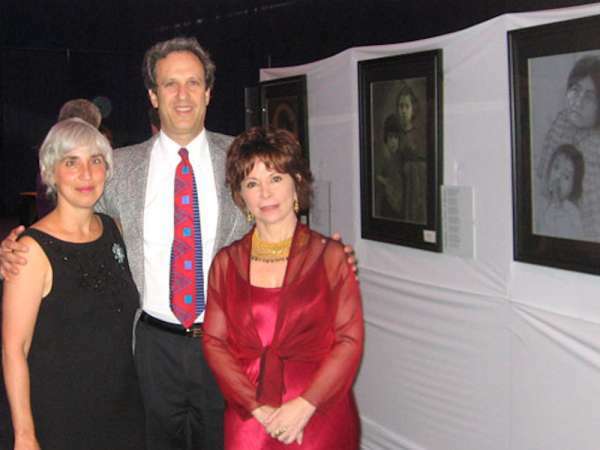 The mini-exhibit consisting of 8-12 pieces from the larger Borderlines exhibit is available for smaller venues. 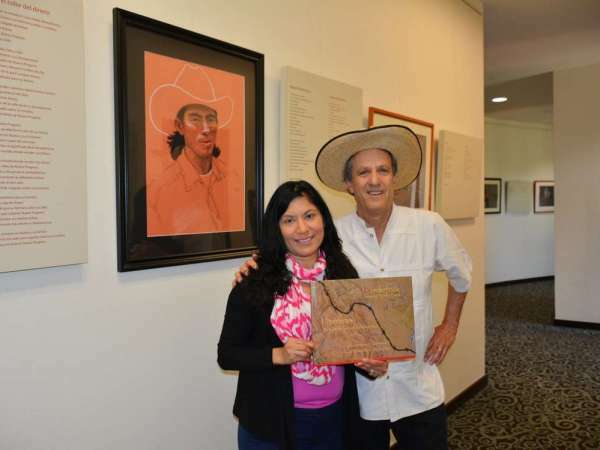 The Borderlines: Drawing Border Lives traveling exhibit is currently on display at the UTRGV library – Brownsville Campus on the 3rd floor gallery. 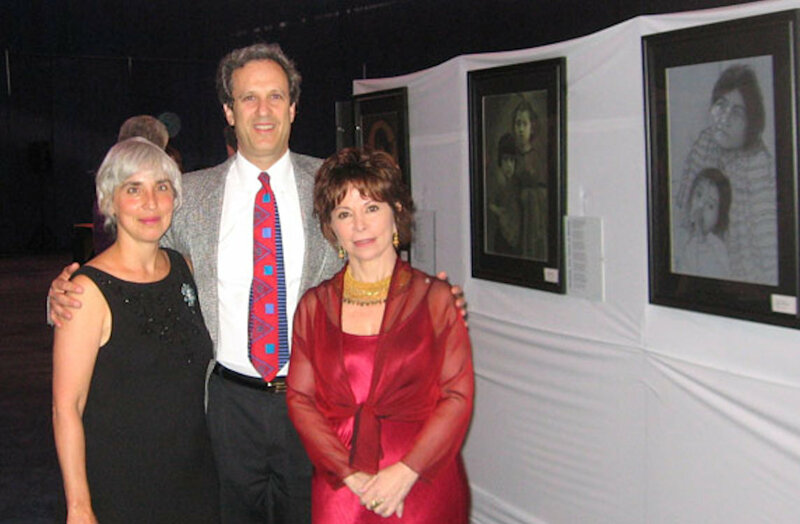 For location and hours, please visit their website here. 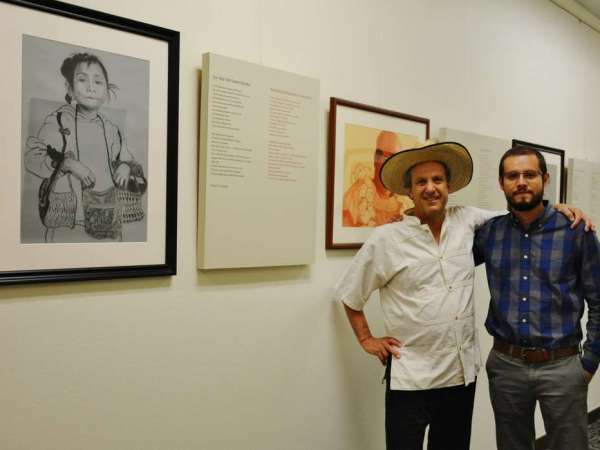 UTRGV English professor Dr. Steven Schneider and his artist wife Reefka Schneider describe their compelling testimony to life along the U.S.-Mexico border. 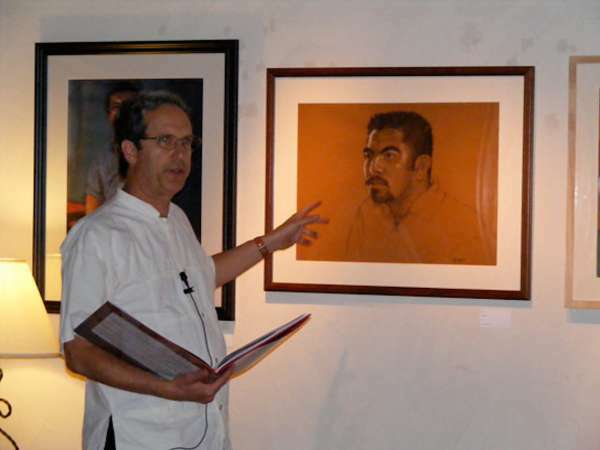 By placing poetry and art side by side we invite you into a world of image and word, figure and figure of speech, a world in which the borders of one medium touch another. 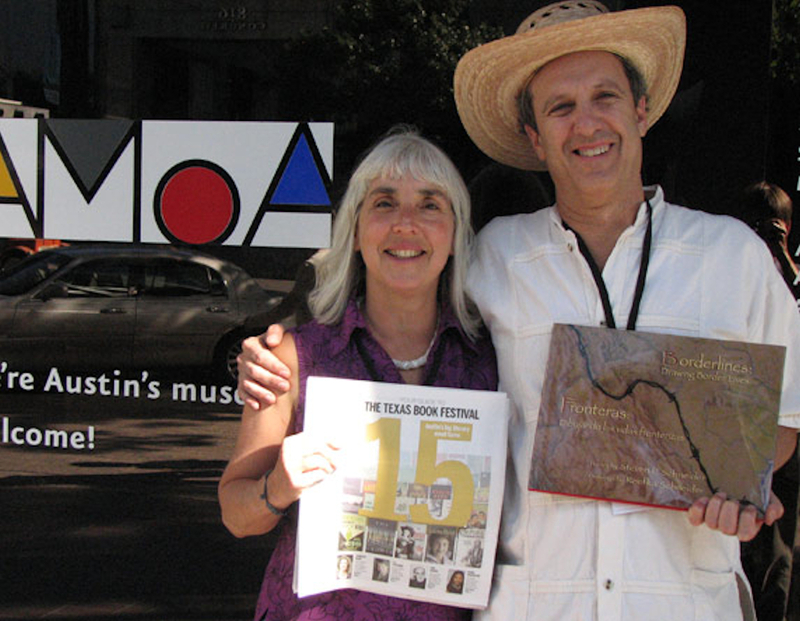 In this way our “marriage” of art and poetry reflects the creative synergy of the people who live on both sides of the River—what one side calls Rio Grande and the other side calls Río Bravo. 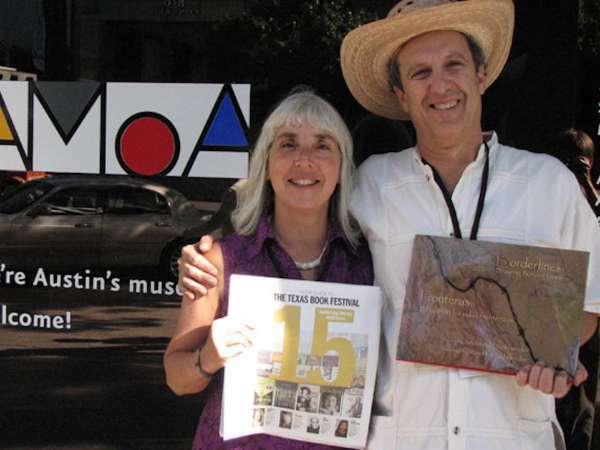 In a world in which borders continue to be sites of conflict and mistrust, we offer this book and exhibit as a testimony to the people who live and work along the U.S.-Mexico border in the Rio Grande Valley. 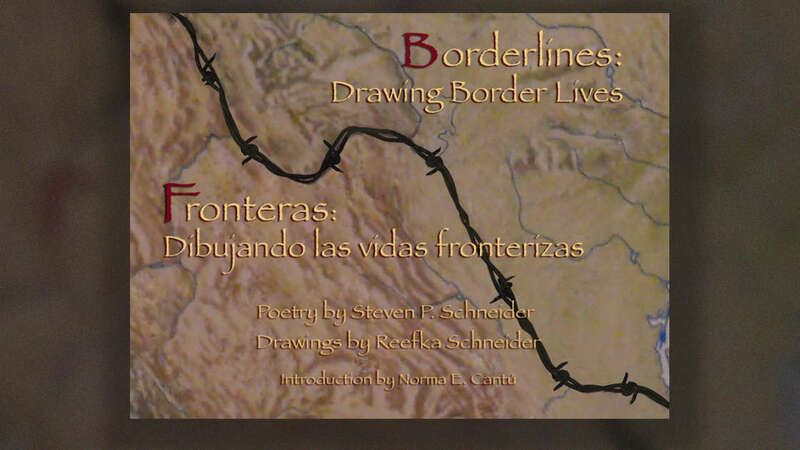 You will see in these drawings and poems a reflection of life along the border. It is a story of the human spirit and its quest for happiness and fulfillment, its struggles to survive and overcome economic hardship. We hope this collection will improve cross-cultural understanding and deepen awareness of the human ties that bind all of us together. Al colocar la poesía y el arte lado a lado los invitamos a ustedes a un mundo de imagen y palabra, de forma y foma de expresión, a un mundo en donde los limites de un medio alcanzan otro. De esta manera nuestro “matrimonio” entre el arte y la poesía refleja la sinergia creativa de la gente que vive en ambos lados del río, el que un lado llama el Rio Grande y el otro lado llama el Río Bravo. En un mundo donde las fronteras siguen siendo un lugar de conflicto y desconfianza, ofrecemos esta exposición como testimonio a la gente que vive y trabaja a lo largo de la frontera Mexico – Estados Unidos en el Valle del Rio Grande. Veran en estos dibujos y poemas el reflejo de la vida a lo largo de la frontera. Es una historia de la voluntad del ser humano y de su busqueda por la felicidad y la autorealización, su lucha por sobrevivir y por superar las dificultades económicas. Esperamos que esta exposición mejore el entendimiento entre las dos culturas y profundice el conocimiento de los lazos humanos que nos unen a todos. 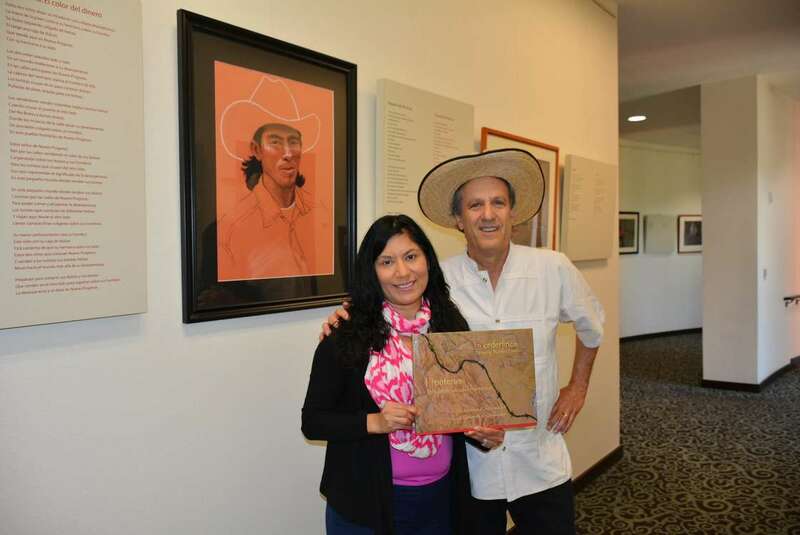 Featuring 25 drawings in charcoal, conte crayons, and pastels, this handsomely designed coffee table book pairs portraits of people who live and work along the U.S.–Mexico border with bilingual poems that have been inspired by each of the drawings. 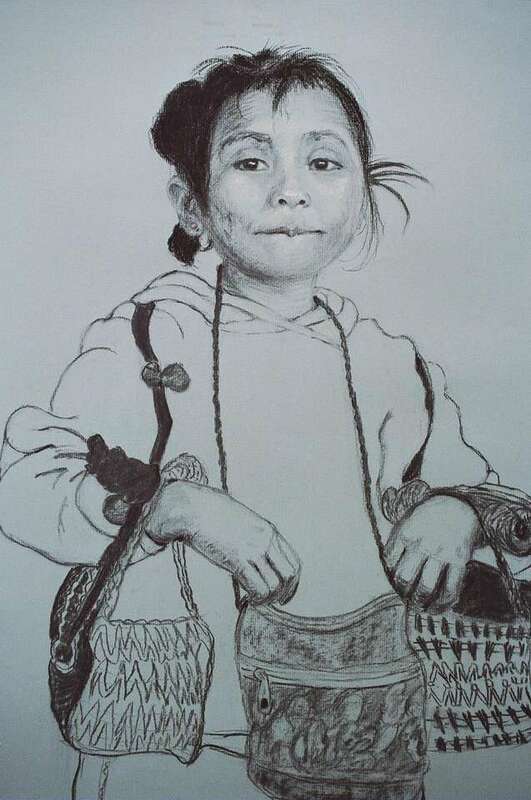 A testimony to the people of the Rio Grande Valley, these drawings and poems capture their spirit, their quest for happiness, and their struggles to overcome economic hardship. 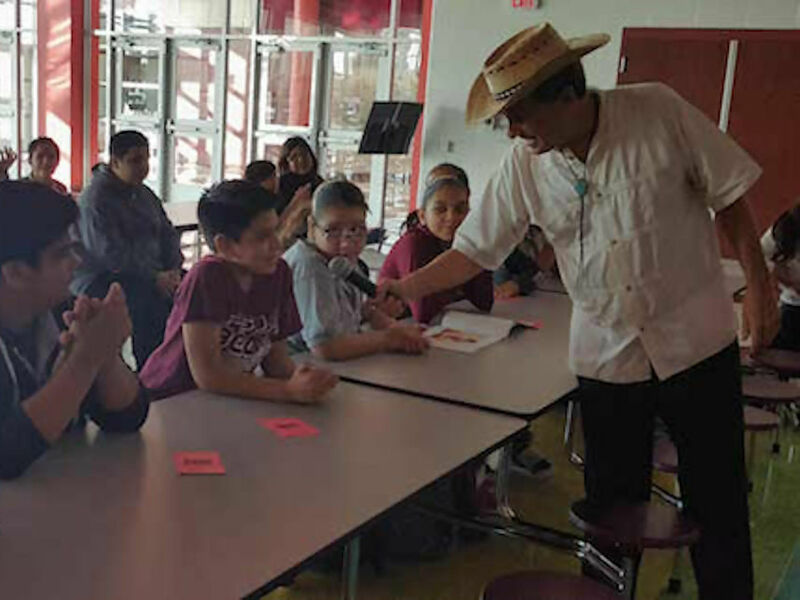 Compassionate and socially relevant, this inspiring book raises awareness about social and cultural issues associated with border life, such as education, literacy, and poverty, and fosters cross-cultural understanding. Borderlines/Fronteras reflects an accuracy of eye and voice that goes beyond mere physical reality and probes the uncompromised elegance of street vendors, beggars, and the Angel who likes tacos. The poetry carries a grace and a toughness that are equally eloquent in the Spanish translation, and the drawings leave the reader entranced by the exquisite beauty of truth. 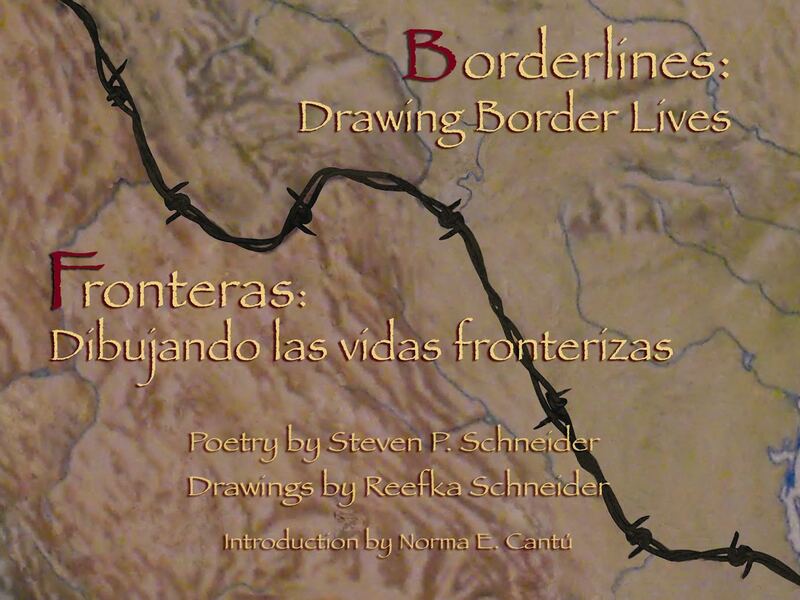 Library Journal selects Borderlines as STARRED book selection! In her right ear she wears a pink stud. With dirt floors and no running water. They hang from her like ornaments. 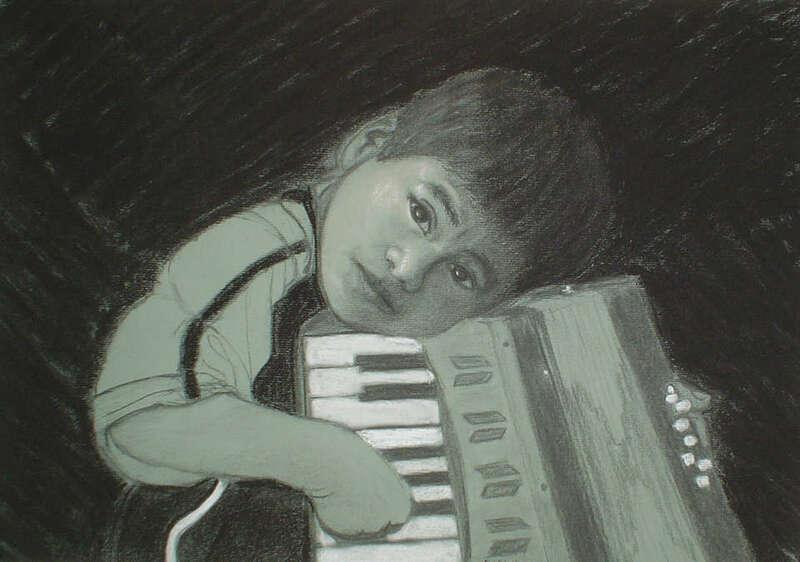 Beggars with tin cans, children playing the accordion, stray cats. She will never learn how to read and write. On the muddy paths beside the Rio Grande. En su oreja derecha trae un arete color de rosa. Con piso de tierra y sin drenaje. Que se venden en la basílica. Cuelgan de ella como adornos. Discos compactos de música tejana. Pordioseros con botes de lata, niños tocando el acordeón, gatos extraviados. Nunca aprenderá a leer ni escribir. En los caminos lodosos al lado del Río Bravo. Taken from its natural habitat. And a cup in the other hand. In floods of the seas. Who never saw another butterfly. Cogido de su hábitat natural. Y una taza en la otra. En las torrentes de los mares. Que jamás vieron otra mariposa.